The game has finally arrived. 🙂 Very nice cover with cool booklet. You can see the Archos Zappo CD-ROM underneath. 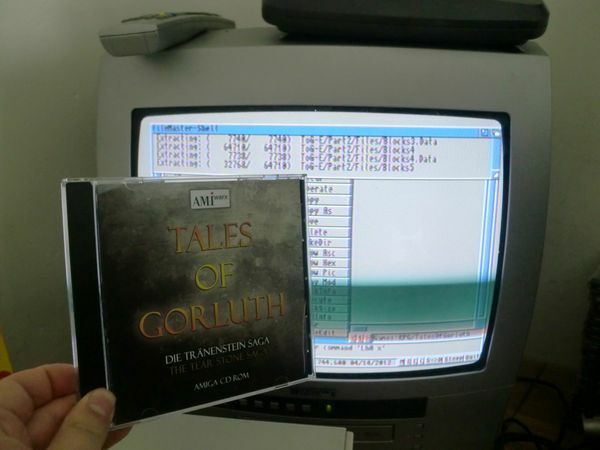 Installing Tales of Gorluth on my Amiga 1200. 🙂 You can see Filemaster in the background uncompressing the .LHA archive. Thanks mate. 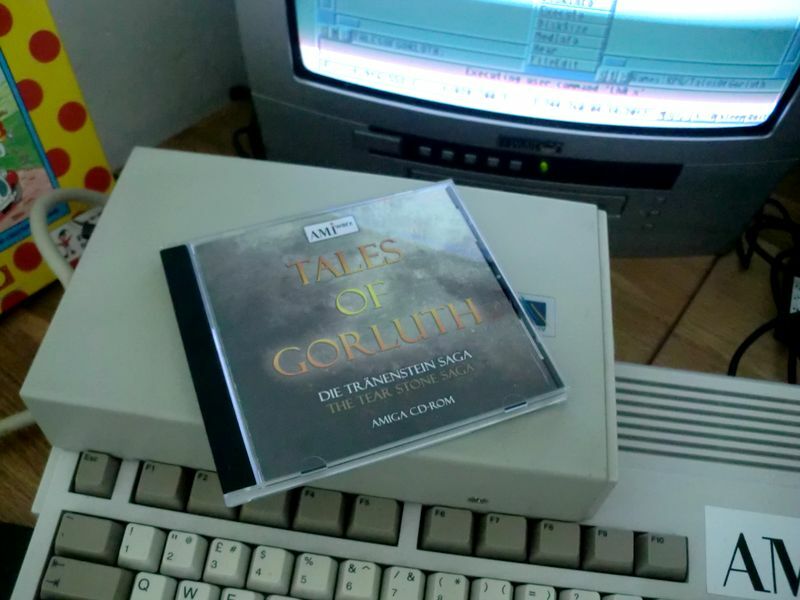 🙂 It’s been a long since I last bought a brand, new commercial game for the Amiga. I now read that they are actually sold out already, so glad I pre-ordered it.